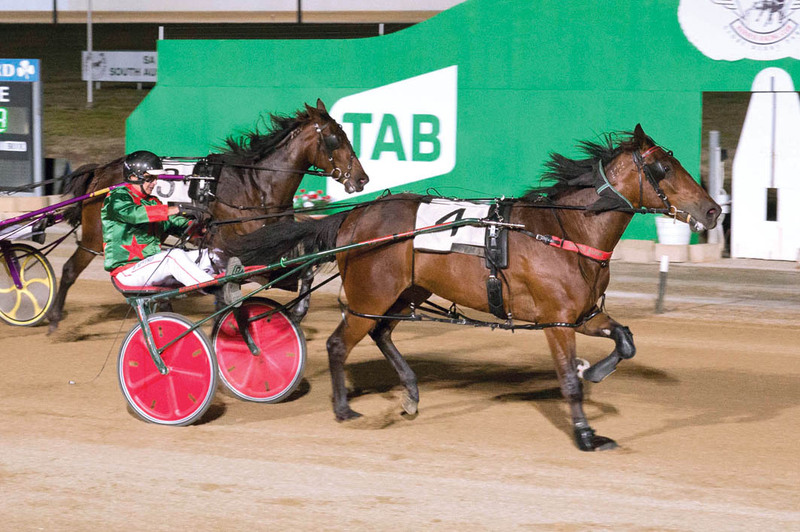 ONE of Saturday night’s feature at Globe Derby is a timely advertisement for the South Australia Allwood Yearling Sale. As part of a super weekend, the Sale is being conducted the morning after the SA Cup program. Along with the flagship event, the card includes the Kindergarten Stake, with the leading colt and filly in the Final graduates of last season’s Sale. Successful in their heats, which doubled as their debuts, Triple Bella and Hesashark are the pair to beat despite opposing draws. While Triple Bella has fared well in the pole, Hesashark faces an arduous task from the middle of the second row. Although disappointing with Hesashark’s starting position, trainer Dale Afford remains confident the son of Shadyshark Hanover can overcome the obstacle. “It’s going to be a raffle early to see where they end up, but hopefully he can settle forward enough at the start,” Afford said. “He is pretty versatile, but if the ‘death’ is there for example, I’d be happy to be there. Rating Triple Bella as the one to beat, Afford also expects fellow heat winner Wolf Of West Bay to make his presence felt from the back line. “The pole horse is likely to get a good trip in lead or behind leader, which makes her the one to beat,” Afford said. “It is hard to line up form as they are all pretty early in their careers and quite a few have only had one or two starts.